Today we were required to use graphic stamps for our homework. I really enjoy the clean and simpleness of this card. 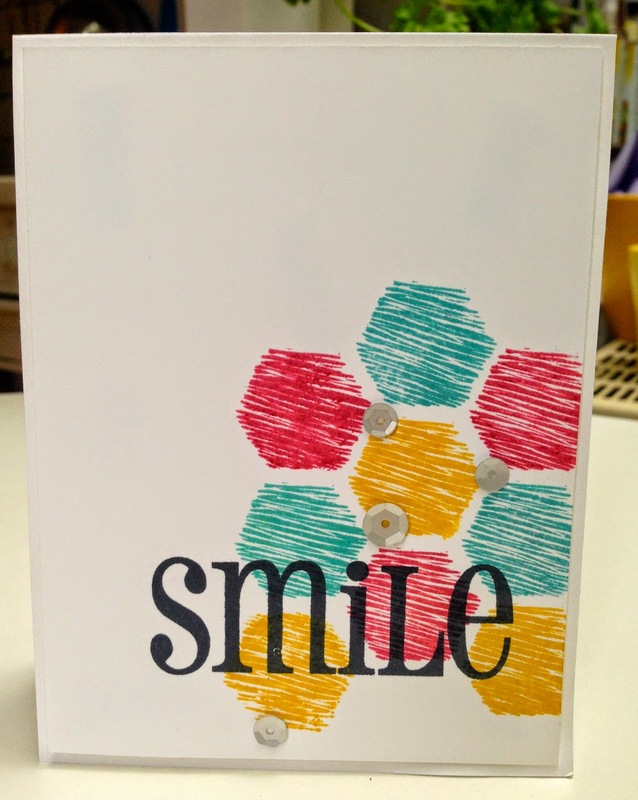 Anyone can make a simple card like this :) You hardly need any supplies. There is still time to join Stretch your Stamps 2 class and take part in this amazing community! Cute! Love the hexagon shape! I love this! Great style for the sentiment!